One Brands - Reptile One - Next Best Thing to Nature! Whether you are looking to source products for aquariums, reptiles, dogs, cats, small animals, birds or ponds, you will find a suitable ‘One Brand’ to accommodate your needs! Aqua One: Inspiring Excellence in Fish Care! 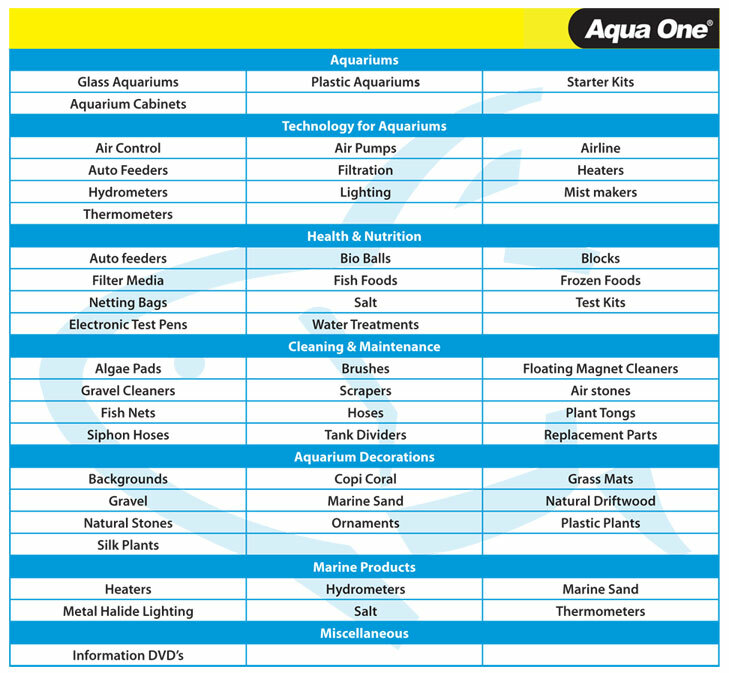 Aqua One has established itself as a leader in products for fish and aquariums. Aqua One products use high quality materials and demonstrate proven reliability through rigorous product testing. Incorporating the latest innovations in technology and stylish design, Aqua One provides the best possible environment for fish. The product range includes everything needed to set up and maintain goldfish, tropical or marine environments. Pet One: Nurturing Best Friends! Pet One is everything you need to nurture your furry friend! Pet One products are designed with the needs of the animal and the owner in mind. Comfort, style, quality and price are the core components that make up the range of products. 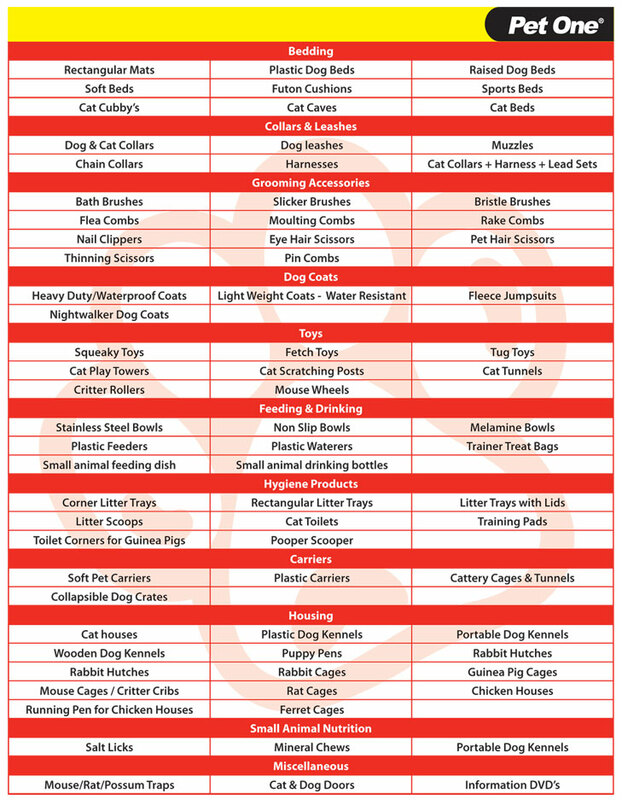 Whether its cats, dogs, mice, rabbits or guinea pigs, pets are pampered with Pet One! Reptile One: Next Best Thing Next to Nature! 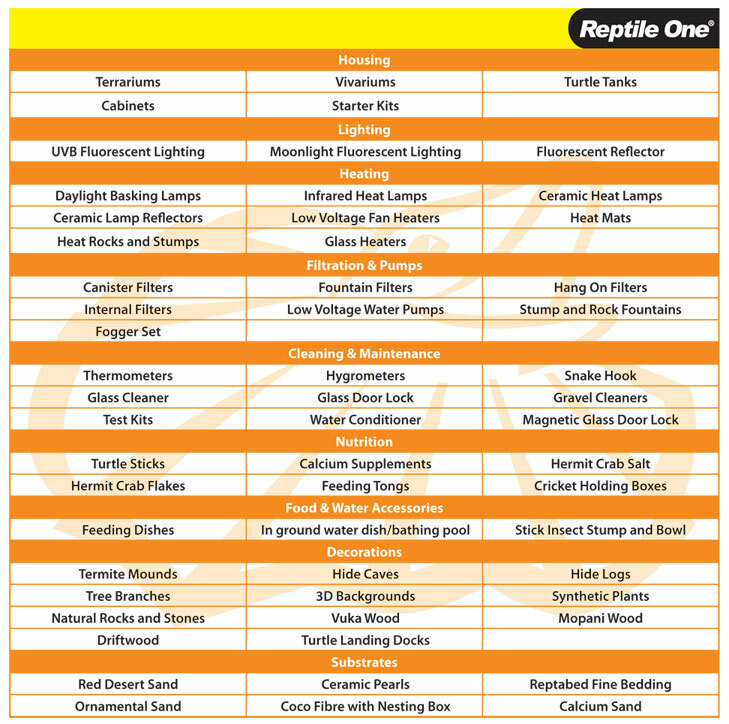 Reptile One is the quality brand that brings you innovative products to care for Reptiles, Amphibians & Invertebrates! We are proud to partner with Dr. Gavin Bedford in the development of the Reptile One’ range of products, Dr. Bedford is one of Australia’s most recognised authorities on all things reptilian! Dr. Gavin Bedford runs the spectacular multimillion dollar reptile exhibit ‘Crocosaurus Cove’ in Darwin, Northern Territory. His in-depth understanding and knowledge of reptile biology has given us the ability to develop innovative new products which are specially designed to help care for pet reptiles, ensuring that their environments are as closely aligned to nature as possible. When you purchase Reptile One Products, you can be confident that you are buying quality products which are designed and used by experts in caring for their own animals! Our product range includes all the essentials to help you care for Snakes, Lizards, Frogs, Spiders, Scorpions and Turtles. Avi One: Enriching Environments for Feathered Friends! Pond One: Vibrant Sparkling Ponds! Pond One makes water gardening easier and more enjoyable! Our range of pond products such as filters, fountains and pumps are reliable, economical, and affordable. They are also easy to use and simple to maintain.